Protect Your Company & Reduce Liability. Smart work zone technology is the application of computers, communications, and sensors to improve transportation safety, intended to better inform motorists, encourage them to take alternate routes, reduce their frustrations, reduce freeway congestion, and enhance safety for motorists and workers. 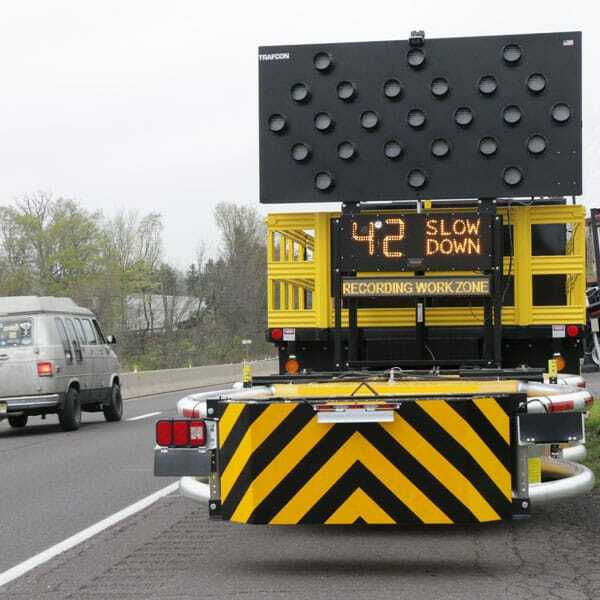 Automated speed enforcement has proven to reduce the speeds of motorists in construction zones. The new and improved radar board eliminates the need for a message board! The active radar board displays on one side, and your custom message displays on the other. A two for one! Royal is committed to innovating and delivering the best TMA truck technology available. We know that automated speed enforcement has proven to reduce motorist speeds. That’s why the Royal Technology Package includes a DVR and Camera System, and Royal’s 2nd Gen Radar Board. This traffic control trio provides work zone recording with the most advanced smart work zone technology to keep you safe on the job. Our mobile DVR system captures all activity in and around your crash truck. It can be configured with 4-8 cameras that record with event triggering such as engine start, TMA deployment, vehicle movement, and even g-force impact. 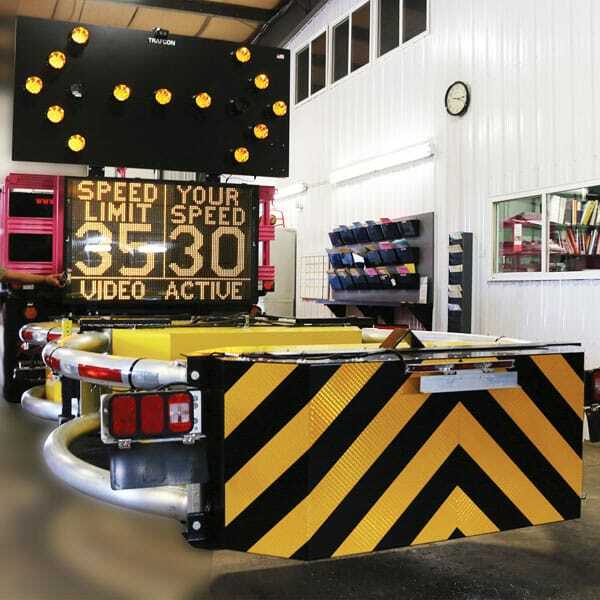 Multiple camera views, including rear-mounted, increase awareness in your work zone and lower the risk of accidents. Fleet tracking allows you to increase company safety and decrease liability.